Cris Cyborg, as I have said before, is a champion of a division that doesn’t exist. There are no official UFC featherweight rankings, and all the opponents so far in Cyborg’s UFC career are seemingly plucked from the bantamweight ranks. Hopefully, as the new year continues, things will change and the UFC realise they have someone who the fans seem to care about, and they will invest in the division and bring in much-needed talent to the division. 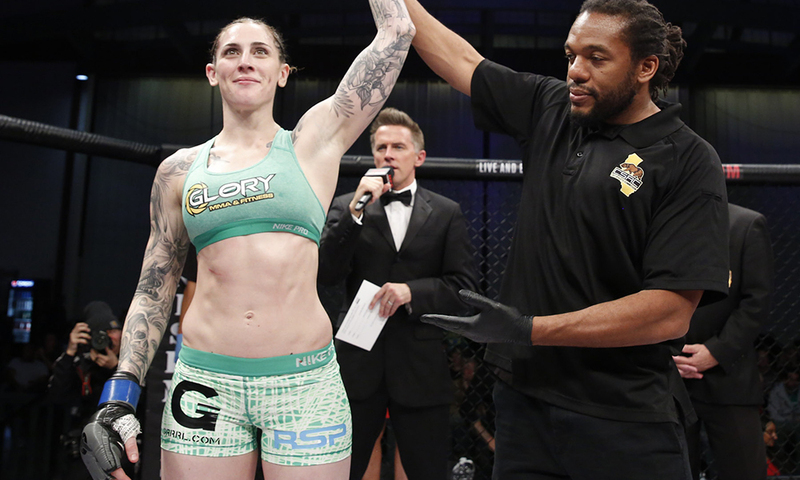 Megan Anderson looks as though she will be the next fight for Cyborg, but certainly sooner rather than later, will challenge Cyborg for her title. Amanda Nunes, the UFC bantamweight champion, is also hoping to move up in weight to fight her fellow Brazilian. The UFC seemingly would prefer Cyborg vs Nunes, Cyborg, however, would prefer Anderson judging from recent comments in the media. Anderson, 27, is the former Invicta featherweight champion with an MMA record of 8-2. The Australian started her career with a loss, later avenged, but has lost only one fight since to Cindy Dandois, and is currently riding a four-fight win streak. Anderson was going to make her UFC debut and challenge Cyborg at UFC 214 but pulled out through undisclosed personal issues, she hasn’t fought since January 2017. There is a little doubt Anderson will fight for the UFC featherweight title sometime in 2018, hopefully, that is a start of an influx of natural featherweights coming over to the UFC.